The Institute of Plant Protection (IPP), Chinese Academy of Agricultural Sciences (CAAS), was established in August 1957. Based on Department of Plant Disease and Insect Pests and Department of Pesticide Science in North China Institute of Agricultural Sciences, IPP was founded as one of the five institutes first established in CAAS. It is a national non-profit scientific research institute that specializes in crop pest research, prevention, and control. In the evaluations organized by Ministry of Agriculture during the Eleventh Five-Year Plan, IPP ranked the second place in the comprehensive capacity and the first place in the major among all the agricultural research institutes in China. In 2014, IPP ranked the first place in the per capita strength among all the institutes in CAAS. During the recent six years, IPP has won 4 National Awards for Science and Technology progress. “Integrated Management of Wheat Stripe Rust” won the first prize of National Prize for Progress in Science and Technology in 2012. In addition, the institute has received 57 ministerial or provincial awards. Scientists in IPP have published more than 2280 original research articles, over 630 published in the SCI/EI indexed journals, 2 research articles published in “Science”, 1 research article published in “Nature” and 1 review published in “Nature Biotechnology”. 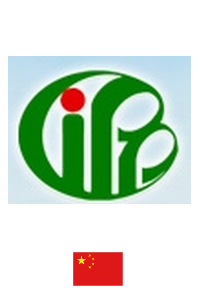 IPP has published more than 100 books and owned 103 patents.